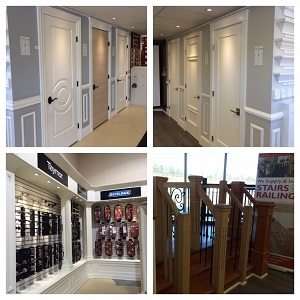 Welcome to Barrie Trim and Mouldings. For over 25 years our goal has been to provide customers with exceptional service, high quality products and a satisfaction guarantee. We supply and install trim and doors, along with prehung door units for builders, contractors and home owners. We manufacture our stairs in house and custom install them along with our railings and spindles. With a large showroom room and experienced staff, we are always willing to go the extra mile to help you pick out your material with ease. We provide free, on-site quotations and consultations, to ensure the end result fits your needs and budget. And with the help of our experienced installerâ€™s right at your finger tips, weâ€™ll help you build the dream home or cottage you have been waiting for. Barrie Trim and Mouldingsâ€™ goal is to provide our customers with the most exceptional service and quality, with guaranteed satisfaction. Our on-site, free quotations ensure proper results, and with the help of our experienced installers right at your finger tips, weâ€™ll help you build the dream home or cottage you have been waiting for.